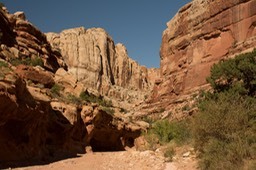 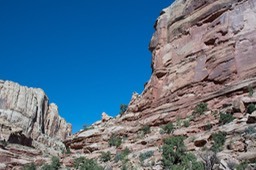 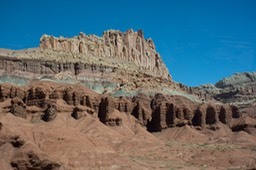 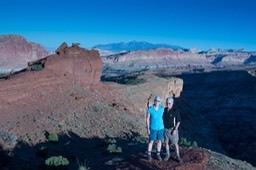 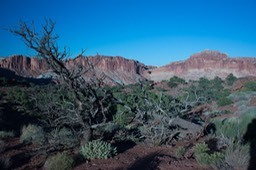 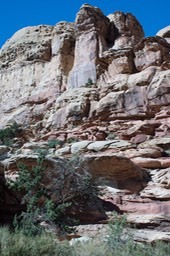 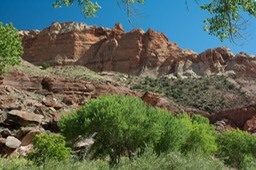 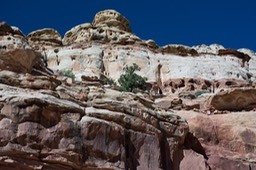 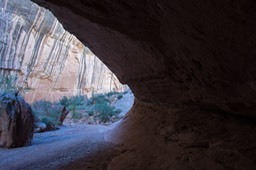 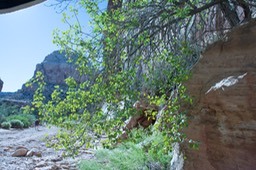 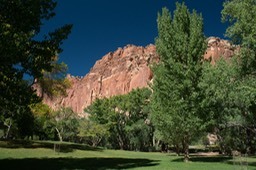 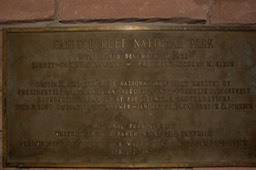 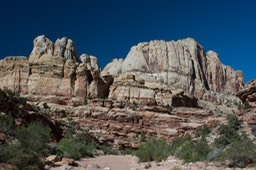 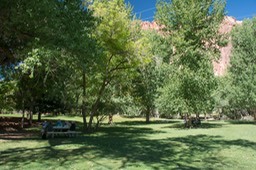 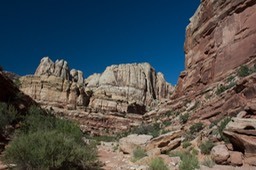 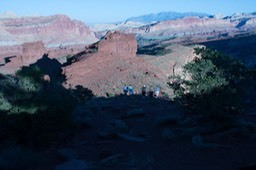 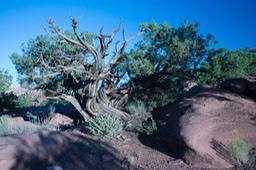 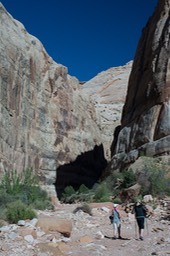 Capitol Reef is the least visited national park in Utah. 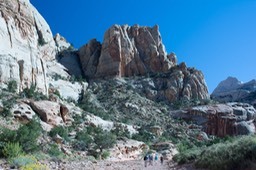 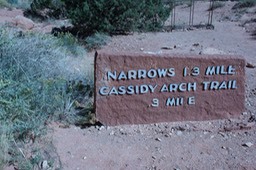 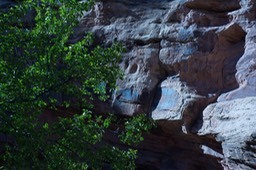 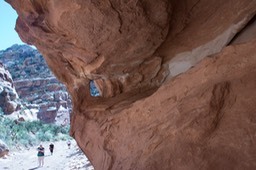 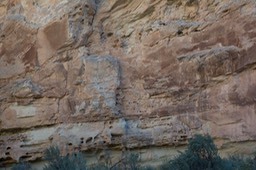 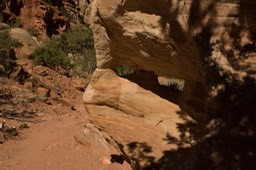 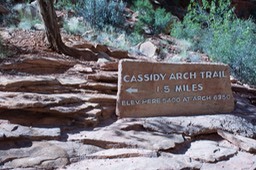 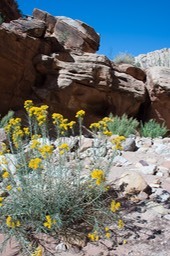 The upthrust sandstone ridge was considered a “ reef”, an impassible feature. 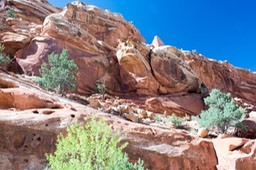 One sandstone dome reminded early settlers in the area if the Capitol Building in DC, hence the name. 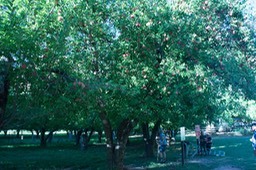 in the 1860s, 10 Morman families built a small town on the river and planted apples and pear orchards. 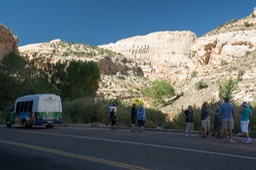 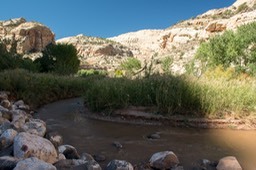 The town of Fruita remained until the area was made a national park in 1971. 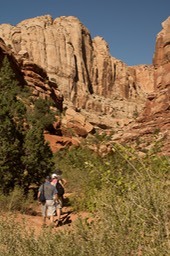 In what other national park is it ok to take something (except photos)? 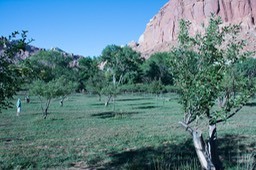 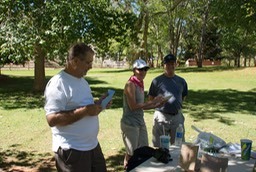 In Fruita, the orchards planted by the Morman settlers remain and are maintained by the Park Service. 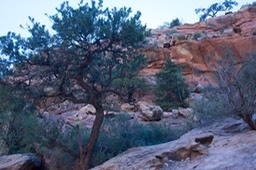 You can pick and eat the fruit. 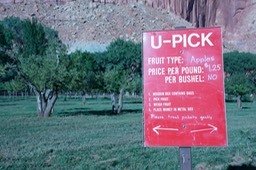 If you want to take some with you, its a $1.25 per pound, on the honor system. 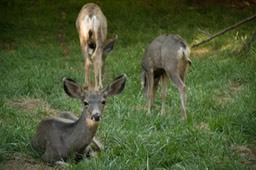 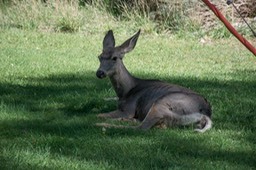 Mule deer were plentiful in the orchard areas and very unafraid of people.